Our experienced bankruptcy lawyers understand that life can “throw you a curve” and your financial circumstances can change in the blink of an eye. Today’s economic conditions have created hardship for many well-meaning, hard working individuals. Additionally, an illness, a death, or the loss of a job can suddenly throw your life into economic turmoil. Filing bankruptcy can help get you out of this financial rut and back on the road to recovery. Bankruptcy can reduce or even completely discharge most or all of your debts – or allow you to pay them back according to a schedule that works for you. 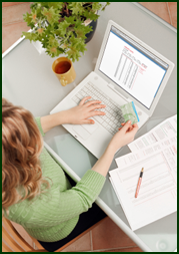 How a debt is treated will depend upon if it is “secured” or “unsecured”. A secured debt is one that is “attached” to physical property, such as a house or a car. An “unsecured debt” is one where money is owed – but there is no physical property that is guaranteeing the debt – such as charge cards or hospital bills. The good news is that “unsecured debts” – including charge card debt and medical bill debt – can be COMPLETELY discharged in Bankruptcy! In Chapter 7 Bankruptcy, debtors are usually able to “wipe out” (discharge) credit card debts completely. Your home, car and other personal property generally are “exempt” and can not be sold in a Chapter 7 Bankruptcy. The Chapter 7 trustee is allowed to sell non-exempt items to pay off your debt – but most people who qualify for Chapter 7 do not have any assets valuable enough to be sold. So, in most Chapter 7 cases, your obligation to pay the balance of the charge card or medical bill will simply be discharged upon successful completion of the case. Chapter 13 Bankruptcy – which is primarily for individuals with income and/or assets – also offers debt relief for charge card and medical bill debt. Instead of requiring the debtor to sell his or her assets or property to pay creditors, Chapter 13 allows the debtor to propose a “plan” to reduce payments and repay creditors over a longer period of time – usually three to five years. Under both Chapter 7 and Chapter 13 the debtor is completely protected from lawsuits, garnishments, harassing phone calls and other creditor actions. In other words, the relief starts immediately upon filing of the Bankruptcy by your lawyer. From that moment on the creditors must deal with the trustee and your bankruptcy lawyer and leave you alone! This is a huge relief for most individuals who are dealing with credit card or medical bill debt. Keep in mind that a Bankruptcy discharge applies only to the debtor in a bankruptcy case. The discharge does not extend to guarantors or cosignors. So, if anyone else is liable for charges that you made on a credit card, they will still be responsible for the debt after you file Chapter 7 bankruptcy – even if the debt is discharged against you. The best way to understand your options for getting out from under overwhelming Credit Card and Medical Bill debt is to consult with one of our experienced debt relief lawyers. 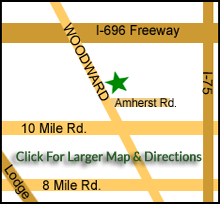 We will patiently explain your options and help you determine the course of action that is best for you. Call our experienced bankruptcy and debt relief lawyers today for your FREE CONSULTATION – and say goodbye to your financial worry and stress.